Create professional-looking return address labels using your ink jet printer and Avery ink jet labels. 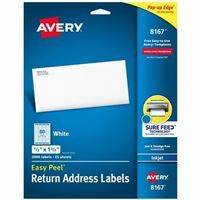 Specifically designed for use in Hewlett Packard DeskJet, Canon Bubble Jet, Apple StyleWriter, Epson Stylus and other popular ink jet printers, premium quality white return address labels provide a crisp clean look in black or in color. 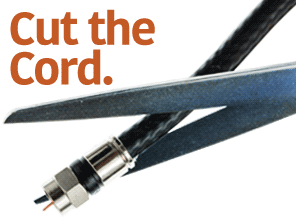 You can easily format them using WordPerfect Microsoft Word, Avery LabelPro and other leading software programs. Mail at a moment's notice with these Easy Peel® White Return Address Labels. Visit avery.com to download free Avery Wizard Software for Microsoft® Office and import hundreds of names and addresses in seconds. Then use a template to create custom, professional-looking labels with barcodes at your desktop computer. Next, print label sheets from any inkjet printer and use the Pop-up Edge™ for fast peeling. Patented Easy Peel® label sheets let you bend the sheet back to expose the label edge, peel, then fold the sheet back to flat in a jiffy. Easy and fast to use, it'll help you get all your parcels in today's mail. Label sheets unfold easily back to flat after peeling.